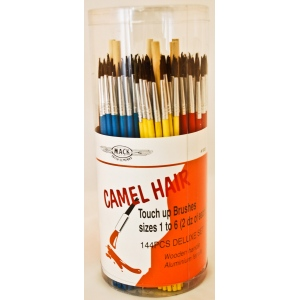 * Fine watercolor bushes - pure camel hair. 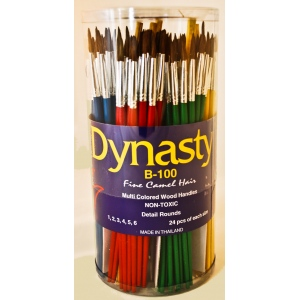 * Metal ferrules on lacquered handles (each size has a different color handle). * Guaranteed setting acetone resistant. * Packed in unique circular transparent acetate box.